The whole spiritual knowledge for your training to Morphogenesis is provided to you with a bold sense of responsibility and a never-ending love. Our unique task is to spread over the planet this amazing system of conscious creation, which will open new luminous paths to your personal success and completion. In this sense, we refuse to apply any marketing techniques of the earthy matrix, which unfortunately, we see being implemented in the sector of spiritual knowledge also. Not caring about whatever cost this may have for us, we reject these methods that commercialize Knowledge and are based on “sales techniques” and subliminal influence on prospective “clients”. 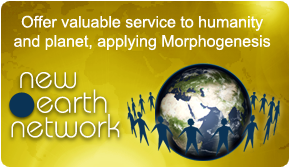 In this sense, we were quite hesitant to create a page of praise and successes of the people who used Morphogenesis, because this can easily be misunderstood and seen as a common marketing and advertising attempt, such as those attempted in thousands inside the earthly matrix with only purpose to “convince the prospective customer”. On the other hand, however, we thought that perhaps in this way we deprived some people of a kind of support that many need in order to make their first step. And because all e-mails we received from the users of the system overflowed with such energy of gratitude and incitement to other fellow beings in the same position they were before using Morphogenesis, we ultimately decided not to hesitate and share this energy of optimism we received. Thus, we went ahead creating this page, having as our only purpose to feast on the happiness and the positive energy all together, that is transmitted through the successes of other fellow human beings who used the Knowledge of Morphogenesis system. Also, to be inspired by these and feel the message of hope and achievement they want to share with the rest of us on the whole planet, united all-together. This way, we create a high force and quality energy “tank”, common to all of us, which will raise the realization level for each one of us individually. Thus, we plead for you to let the words that follow come alive and transfer the emotion of the people who wrote their testimonials, and essentially give them thanks and feel our connection with them, which also constitutes a great spiritual truth, i.e. that on a spiritual level, we are all part of a United and Unlimited Universal Network of Light. My Name is George and I want to tell you that your e-course/training has been one of the most powerful and effective courses I have ever gotten on the Internet. There are many philosophies and renditions out there, but none hit the target at every facet and every nook of the human/matrix make-up like you do in 'Morphogenesis System.' There is something about all this that opens one's heart and mind; one's whole being actually. I thought your system would be nice, never expecting profound... I feel changed in a positively irrevocable way. Morphogenesis has opened to me the fabulous world of conscious creation that I think I always new existed, I just wasn't sure and didn't completely believe it. I find now myself more confident, in control, wiser, a clearer vision of my future and the courage to pursuit it. Thank you for giving us the ancient Greek wisdom through a very powerful and effective system. Hi, it hasn't been long since I found out about you. I want to thank you for being there for us, for helping us awaken little by little with your teachings. Your lessons were different from the many, many conscious creation courses that I have taken over the years and I am looking forward to learning more from you. I have just finished the fourth lesson and I am finding them enlightening, deep. It's what I have been looking for a LONG TIME, thank you. I finally got my answers to what is all about the science of conscious creation, what is the earthly matrix we live in and what is our role as conscious co-creators with God. I must admit I am impressed the way you correlate conscious creation and the art of seduction in terms of energy handling and goals manifestation. This knowledge is very profound and no other system has ever revealed secrets like this before. Thank you very much. Your Morphogenesis System on the Law of Attraction and conscious creation in general is the most effective method I have experienced. I have already successfully achieved a wonderful romantic relationship and I am moving towards my dream job. Thanks to your unique technique of «CONVERGENCE OF PSYCHIC POWERS» which works wonders, I'm happier, at peace with my past, and am able to forgive and let go from a past huge trauma. I feel now I am constantly open to endless Cosmic Abundance. I can't thank you enough for sharing this wonderful Ancient Greek Secret System for a price that everyone can afford. The bonus «matrix navigation guide», believe will save me tons of painful labor in the process of manifestation of my goals. This single piece is alone worth the cost of the training which anyway is at very reasonable and affordable by everyone level. Never known before a system that profound, absolutely scientific, deceptively simple in its use like “Morphogenesis System”. At last the real secret on conscious creation is out. I want to know more about the spiritual mission of this master named “the Greek”, by the higher spiritual hierarchy and how could I receive training from him in order to become a Champion of Light. Morphogenesis System has been phenomenal. I've been trying to put its techniques to practice and use, finding that when properly done, the system works perfectly! I have a lot of great things going on in my life and can't believe how powerful the Morphogenesis system is. This system is definitely the ultimate and most powerful system on conscious creation. The ancient Greek spirit of enlightment is still alive. I achieve things that I would usually think aren't possible not only in terms of materialistic possessions but as well as in terms of personal changes. Unique piece of knowledge which can not be found anywhere else, is the “Matrix Navigation Guide” you offer as bonus upon the completion of Morphogenesis training. The best and most fitting gift to all trainees. Thanks for giving us the opportunity to join the Planetary Network of Light. It’s a great idea and work and I wish millions of people will join it all around the globe. I would love to see at last our planet and humanity transformed for the better. I look forward to hearing of your Spiritual teachings of Forces of Light. Thank you, you make it much easier to see the goodness, the beauty and the joy. Happy Manifesting! I consider myself a critical person - according to friends, I am an expert at spotting flaws and weaknesses in concepts and ideas. At first, I was sceptical. But after taking the Morphogenesis online training, it's all beginning to make a lot of sense! Your insights are quite a gift… Morphogenesis System really has a unique perspective, and I believe you are about to change the life of millions of people by sharing this ancient wisdom with the rest of us. I had been interested in the conscious creation for many years and nothing had really worked. After so long time of frustration and disappointment I had become even more sceptical and bitter... At the time I found out about Morphogenesis I was desperate since I was going through a painful break-up, my finances not at the best and I started to get depressed but I saw an email from a friend suggesting an ancient Greek system and it was then when all changed in my life. 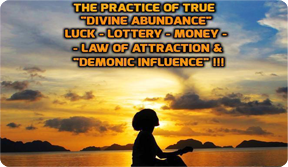 After purchasing all the forms of “The Secret”, and reading material by various authors on the Law of Attraction I had the concept and knew what the various authors were trying to express. But, not one of them went into depth to tell me how to make it work and the scientific basis behind the why and how it works - that is what Morphogenesis system did. I finally understood and was convinced. And that is what I needed. I needed to really understand. Morphogenesis helped me to manifest without that emotional turmoil I was experiencing that time. Although I was sceptical at the beginning I knew at instinctual level that it was about time for me to awaken my higher self and never be the same again and Morphogenesis System was the stepping stone I was looking for. It turned out to be even greater. Its amazing power worked its heavenly miracle upon me. Within only two weeks I put Morphogenesis into practice, my girlfriend returned back to me and we are about to get married. This is a true miracle I was hopeless. It was the first time in my life I had a goal manifested so quickly. I feel now my connection to the "force" in the universe. I feel more connected to my "creator" than ever before. I still consider myself critical and hard to convince but Morphogenesis has transformed me somehow. My attitude has become more positive and I trust life. I have begun to train my future wife on Morphogenesis and we have already set our next goal to manifest our dream house. It’s wonderful and I feel happier than ever before in my life. Thank you so much for helping to stay on course and keep believing! Your system is awesome a real gift to your fellow humans! We have both joined the Planetary Network of Light and we will keep an eye on your site for any forthcoming knowledge. The content of Morphogenesis is profound, inspirational and comprehensive. Congratulations!! Your system is the most significant and important contribution to the field of conscious creation and the maximization of human potential. I'm grateful that the Truths and Wisdom contained in this powerful ancient Greek secret system have again found their way into life of all people. I loved the energy seduction concept you introduced and explained as a masterful skill which everyone who wants to become a master in the field of conscious manifestation must with no doubt acquire. I am certain that my awareness of the truth is now with me to stay and will only deepen with time. Hungry to know more about the teachings of the Forces of Light. Amazing enlightened work indeed. One more time Congratulations and many thanks!!! I can't even begin to tell what Morphogenesis has meant to me, and will continue to mean to me. I am so very glad to know that my ways of thinking for years have not all been figments of my wild imagination! I am very happy to learn more of what I feel inside and "know" already. This is just wonderful... Ever since my childhood, people have labelled me as "weird" and "strange" because I had a strong belief we could have whatever we wish, I believed this the essence of life. Thank You so much for your ever so wise and enlightening information, makes all the difference, it seems so simple when it is explained the scientific way Morphogenesis System does. Very clever and entertaining way to present the knowledge through an inspirational story. The bonus part of the system which reveals the Matrix Navigation rules is of incredible value. I will definitely become member of the planetary network of light. I found Morphogenesis system exciting and not in anyway weird as I think some would. I found it mind boggling and groundbreaking at the same time. Wish I had this system earlier! I thought it was well written and explained. As I have a lot of people problems at work, this is just what I need. I have been working on the conscious manifestation and I am getting results that are almost too good to be true. Everything I touch now seems to fall into place which is a new experience for me. I have just been offered a vastly better paying job promotion and out of the blue I sold a block of land that had been on the market for 30 months. For the first time I can sense my purpose in life and everything is starting to resonate for me. I would like also to thank you for giving me the opportunity to join the planetary network of Light. It’s a great contribution to humanity. I can't thank you enough. Your system is already changing my life for the better. I have read many self-help books throughout the years, and for the first time I'm seeing amazing results because of applying your "Morphogenesis System" and this after only three weeks. Things are coming EXACTLY as I demanded. I wanted to say that Morphogenesis system is the most incredible system on the field of conscious manifestation I have ever come across. It seems to tie in all the “variables” concerning manifestation of desires! Morphogenesis System has turned out to be also a great tool for achieving personal growth. As I mentioned above I have read many self-help books but the majority of them are filled with a lot of fluff and never get to the point. Morphogenesis System in order to achieve your maximum manifestation power leads you masterfully to tackle your inner blockages and limitations. It literally sets you free! The lessons are written with power and poetry, overflowing with insight and of course pure practicality. I would love to know more about the Higher Spiritual Hierarchy, the mission and global work the Greek has undertaken and to be a very active member of the planetary network of Light. Thank you so much for this amazing manifestation system and self-help knowledge you offer us. I've been manifesting for years, with good results. But THIS beats everything. I've found results coming MUCH QUICKER now that I'm incorporating Morphogenesis System. I'm manifesting things on a DAILY BASIS now. THE GUIDED THOUGHT-FORMS TRANSMISSION PROTOCOL is just powerful. I NEVER realized that manifesting could be as powerful as this. The bonus part of the program “the Matrix Navigation Guide” is at the same time unique and amazing. I never thought that I had to know and follow specific “traffic” rules in order not to be lost or consumed by the earthy Matrix. I was blown by the realization of the adverse consequences we face when you live in ignorance in the Matrix and being absorbed by its pathogenic influence. I can only say “great work” guys and thanks for enlightening us on such topics as “earthy Matrix rules and conditions”. Greece turns out to be one more time a pioneering source of knowledge and light for the rest of the world. I'm recommending the Morphogenesis System to ALL of my friends and family members. A big thank you for the ENORMOUS value you give compared to price. This purchase is the best deal I've EVER received from an internet merchant. Thank you for creating the Planetary Network of Light. It seems to me that the 'place' you are coming from is one of sincerity and anticipation of creating the next step in our evolution for our greater good. Keep it up, and be blessed! I come from a country with great spiritual tradition. I think Morphogenesis System is absolutely wonderful and at the same time so profound! That is far beyond simple “techniques”. It contains such great & valuable knowledge; I only wish that I had gotten it sooner. I feel grateful for what you are attempting to bring to 'public/common knowledge' and to humanity in general. Thanks again and much, much love and peace to you! "A big THANK YOU for Morphogenesis System! I bought it because I had several major manifesting events in my life but they happened at random - I was never able to recreate manifesting on demand. I have read many, many metaphysical works trying to come up with the Successful Manifesting Formula but I didn't have it - I knew all the steps but didn't figure on my own how to take these steps, when to do it. Your system works differently. You explained all the knowledge with brilliant simplicity. After reading the revelations about the higher spiritual hierarchy, the Greek, the spiritual ancient Greek tradition of Forces of Light, my curiosity has reached a peak!! The bonus lesson about the Matrix Navigation rules is unique and mind opening. Nobody has ever touched this before!!! Congratulations. 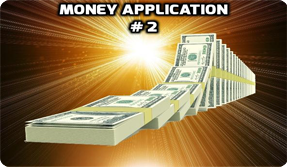 I have found the contents of the system to be succinct, pragmatic, and easy to follow, and am confident that continued application will reward me with even better results than I had previously. The best part of it all, is that I can do it all privately, not having to reveal anything to anyone - the results will speak for themselves! This is the best and most interesting knowledge about advancing the human potential I have found so far, in my journey to spiritual and personal growth. "Recently I started to explore your web page. I was amazed how quickly it works. I was quite irregular on my weight-loss program. I was always encountering inner resistance when I tried to stick to my weight loss diet. I applied your “Convergence of Psychic Powers” technique to resolve my inner conflict on my weight loss issue. The next day I had a feeling of relief, kind of inner lightness and I noticed that I started to respect my nutritional program much more and effortlessly!! The great thing about this specific technique more than anything is that what can be learned and applied within the Morphogenesis System, can be transferred over to so many different areas of your life in negotiating, business, marketing, relationships, personal health to name a few. There is also so much great information here and a lot of useful exercises that I can use for my development. I will be spending a ton of my time here reading and doing the exercises. It is my sincere prayer that the whole world will eventually benefit from this amazing System and the great knowledge is offering. The information is really cutting edge and useable. The most important thing is that the ideas, despite being unique, are well written and easily explained. The system is written in fresh, vital, provocative and stirring style... I just got snagged by the pure pleasure of the read. Congratulations on the way the lessons are presented although as you mentioned English is not your first language! I am looking forward to know about the universal mission of the Greek. I believe humanity will be enriched by his work. Definitely you guys in Morphogenesis have given us a system and hope that can help us to develop a new vision for the 21rst century. I can not even describe how excited and grateful I am for the impact it will have on my life and lives of other human fellows! Thank You! Thank You! Thank You! I am very grateful to have been introduced to Morphogenesis System Secrets. Your system is the perfect system on the science of conscious creation, appearing at the perfect time in my life. It is full of wisdom, answers and guidance, a unique combination of effectiveness and value that is guaranteed to help anyone during times of change and transition. I loved it!!! Since I've been using your program, I'm experiencing tremendous growth in my business. The things you cover have given me the understanding that all things are truly possible. Your insights answer many questions I have had all my life with regard to conscious creation. With this system I believe we all humans can access personal power instead of being an unknowing victim to the powers that would like to run us. Morphogenesis system shows us in the clearest terms yet just how to produce what God has always intended for us: a life of joy unbounded! Your system is of an incredible value and has the power to impact your life in such positive ways. Needless to say is affordable too. I really enjoyed the style it is written. Very wit, I loved the way the story of the seeker and the master was presented. 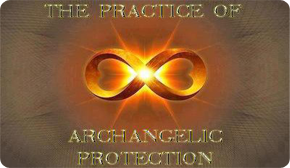 I am very interested in getting to know more about the teachings of this ancient Greek spiritual tradition named Forces of Light. I happily see that Greece is an ever lasting source of wisdom and light with great contribution to spiritual growth of humanity. It’s time all countries to bring together their spiritual treasures for the common good. I feel relieved to know about the higher Spiritual Hierarchy and that there is a plan for humanity’s salvation. I have come back to the feeling of being excited about my life & my future and stopped feeling doomed. I am very pleased you have created and organized the Planetary Network of Light. I am sure there will be great participation from my country India. It is high time for humanity to become unified. We know that all separateness we feel and experience is an illusion. We are all one and made of God-Stuff, and this is why service and love bring happiness to all. You have given every human soul a great and wonderful gift. Congratulations on the great work you have been doing and many, many thanks! !